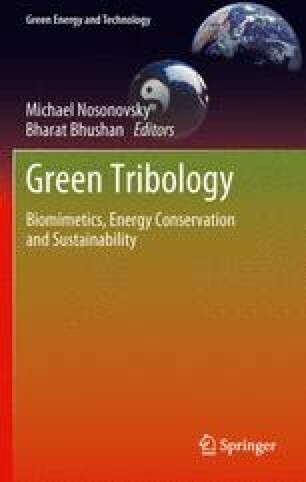 This chapter deals with green and sustainable nanotribology. It highlights the challenges, development and opportunities of these new, emerging fields of science and embeds them in the major frame of the most serious problems we currently face on our planet. Fifteen global challenges are annually identified by the Millennium Project, a major undertaking that was started in 1996 and that incorporates organizations of the United Nations, governments, corporations, non-governmental organizations, universities and individuals from more than 50 countries from around the world. The National University of Malaysia funded part of this work with its leading-edge research project scheme ‘Arus Perdana’. Profs. F. Aumayr, H. Störi and G. Badurek from the Vienna University of Technology are acknowledged for enabling ICG three years of research in the inspiring environment in Malaysia.